You might be wondering what piques a potential client’s interest when looking through a search engine’s results. Clients tend to click on press releases and articles produced by professional sources. If your company does not have any press releases, it could leave you vulnerable to negative articles authored by random individuals with no credentials. There is so much competition out there that people will do anything in their power to keep you down,. The number one way to do this is by posting negative online articles. One major way to improve your online reputation is with Centel Media™ Press Release Service. What is the Press Release Service and what is it used for? Press releases are created to inform the public about particular products and services. There are times when press releases can take the form of a video (video press release), depending on the specific needs of a particular business. Through promoting products and services that your business offers, press releases will attract customers. These customers will then tell others about your business,. We will help you make sure that when people search online for your business ,they will find accurate information presented by you and not the negative articles or reviews. Our team of trained professionals will craft these press releases in alignment with your marketing plan and reputation needs. The more press releases there are, the further negative search results are pushed down. These press releases, along with other positive articles, will take over a search engine’s results page and help you gain a wider clientele. 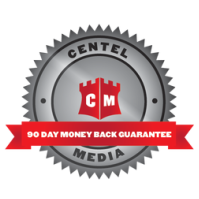 Centel Media™ is here to make all of this happen for you. We are the top reputation management company and we are dedicated to helping you maintain the online image that is best for your company. Our highly-trained team uses the latest technology and best practices in reputation management. You can trust us. We will listen to your specific needs and ideas. We then conceptualize what you have said and write effective press releases that will stand out against any negativity. These press releases will then be posted on numerous sites, which will give you an image boost and a rise in clients. Online reputations are crucial to a successful business . Centel Media™ is here to help. Contact us today.